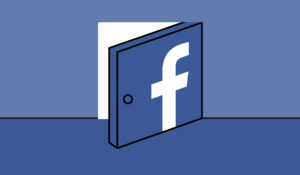 Facebook has changed its appearance, as well as introduced many new features. It also offers more and more apps, but the status messages works very well. Next time if you wish to make a status message your friend then there are some tips and tricks to be followed which won’t take much time. The “Like” button is easily found on Facebook, especially where people look most of the time. However, instead of your friends writing “I do not like” in the comment, which is possible by the way. It won’t be the same as clicking on a dislike button somehow. With the Status Magic app , you can comment on anyone’s status messages quickly and easily by adding a “Dislike” button. When it comes to Facebook’s privacy, it becomes an issue. You can create some lists of status messages that will only be visible to co-workers, friends and family. Using these lists, users can hide some messages from certain people. Just look for a black lock icon and click on it. After clicking, choose “custom” and prevent others from seeing the status. It doesn’t matter where you are, you can update status messages even when you are in the airplane. Through Later Bro app, you can simply provide the time, date, and the messages to go to your desired friend’s message. Surprisingly, many Facebook users do not know that a certain status message can be directed to them just like twitter and other social networks. For this to be possible, type the symbol @ and the name of the person. All the names with similar spelling will appear for selection. While there are varieties of smileys in Facebook chat box, but when it comes to the status message box, you won’t find them. However, to those who would wish to place a pair of unusual symbols in their messages, they should look at the web Happy Box throw. Using the app, you will simply “copy-paste” and integrate the symbol to the status message. Through the Status Analyzer 3D app, it can examine the status messages and then created a “cloud overview” of all the most used words in the previous period. The “cloud” is easy to attach to the wall of friends and share. They are used to create the characters in crazy large or small orders according to your preference. This can be an exciting thing to do. By using the Open Book website, you can find messages from people whose profile is public. Know what others are saying. Through the app Status Statistic, you will be able to get an overview statistics regarding your status messages in other words, you will get statistic information regarding the number of posts you post, the number of words you use and the number of times you have posted the status message a day. In addition, you can also create charts to your messages. You can play pranks with your friend by learning a very simple trick. The link “http://facebook.com/profile.php?=73322363” looks like an address that you could get for a certain Facebook address. However, in reality, the link will redirect him to his own Facebook profile. Enjoy pranking your friend on Facebook but remember to the Facebook’s link preview.